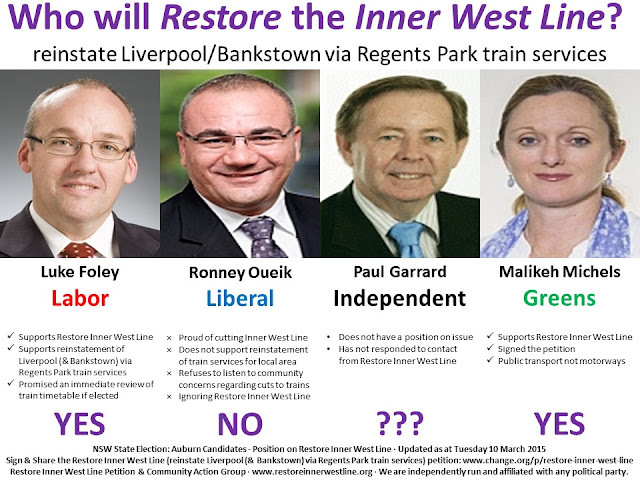 Which candidates & political party supports ‪‎Restore Inner West Line‬? Find out here! Don't forget to sign & share the Restore Inner West Line petition: www.change.org/p/restore-inner-west-line.